The best activities and entertainment options can sell out fast so it's best to plan your activities and make restaurant reservations before you get here. The Whaler offers wonderful concierge service located in the lobby. Beyond the beautiful beaches and rich culture, Maui has many unique activities to offer. From zip lining to horseback riding, luaus to snorkel tours, everyone is sure to find something to enjoy. We have partnered with Tom Barefoot Tours to make planning your activities simple and fun, and at a discounted price! Click to view our activities page then select the island of Maui (or any other island that you would like to book). Make sure you see "WVRP - MVC #4257" at the top of the page to receive deep discounts. It`s that easy! Maui�s rich cultural past reveals itself through a thriving arts scene that is infused with the essence of aloha. Maui artists continue to pay homage to the islands rich history by creating a vast range of modern and historical art pieces that serves as a fundamental piece of Maui culture. One the west side of Maui, Front St., Lahaina host many of these diverse galleries. 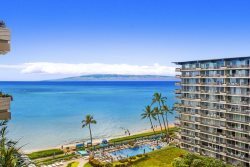 Maui is home to some of the world�s best beaches and boasts more miles of swimmable beach than any other Hawaiian island. With over 81 fantastic beaches of Maui, the choice of which one to spend the day at can be daunting. Our local knowledge will help you navigate to our nearby favorites and find the best beaches of Maui for you, your friends, and your family. Magic shows, theater productions, luaus and more, Maui�s nightlife entertainment extends beyond the jungles and beaches. So, tuck a flower behind your ear and get ready for some excitement. It`s difficult to imagine a more dramatic setting for golf than Maui. Boasting several of the �world�s best� golf courses, the 14 18-hole masterpieces on Maui each offer something for every type of player. And with the intoxicating views of fairways alongside ancient lava flows, tees surrounded by palm groves, and greens arched by rainbows formed in the ocean mist, it makes each of the Maui Golf Courses even more challenging. Focus is key however as you�ll need your scorecard for bragging rights. On Maui, shop to your heart�s content. Spend the day browsing beachfront shops, perusing upscale boutiques, or hunting down made in Hawaii treasures. You�ll discover island riches in stores across the island. Pack a hearty appetite and experience the fresh farm to table cuisine and local favorites found in the numerous restaurants in Maui. From fine dining presented by world class chefs to Hawaii�s famous bento lunch plates, dining options in Maui are just as plentiful as the food is delicious.